All Saints, Highfield is an Anglican church in the Church of England. We are halfway along Lime Walk. Our worship is neither highly ceremonial nor very informal; we take something of a 'middle of the road' position. Our purpose is to serve God and the people of Headington. We do this by providing a beautiful and peaceful place where God is worshipped, and his presence felt, through the Sunday services, music, and artwork such as stained glass windows. This is a place of worship, Christian teaching and prayer. As well as public worship Sunday by Sunday, the church and our ministry are available for special events: baptism, marriage and funerals. 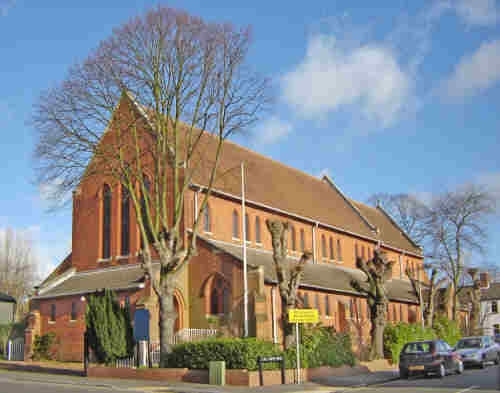 In addition, through our church hall, meeting rooms and kitchen in the separate All Saints' House in New High Street we provide a space for all manner of community activities, such as playgroups, Brownies and Guides, judo classes, committee meetings, wedding reception parties and the like.